The first of three EPs with music inspired by Munch paintings. It’s not “everyday” music this. Hehe. It’s raw, emotional, funky, and pretty wild at times. I’ll point out a few of my own favourite bits of the music. Sjalusi/Jealousy. The structure on this is so perfectly dramatic 🙂 And the chord progression with the bass constantly crawling up half-note by half-note and the violins filling out the harmonies make this song so intense and dreamy at the same time. Well done, Bodil and Jørn 😉 Check out the big payoff at 04:53 in the long version of the song. Goosebumps!! Kvinne i tre stadier/Three Stages of Woman. Listen to this song on a headset, sit back, and just melt into the long bass solo. Yes, bass solo! 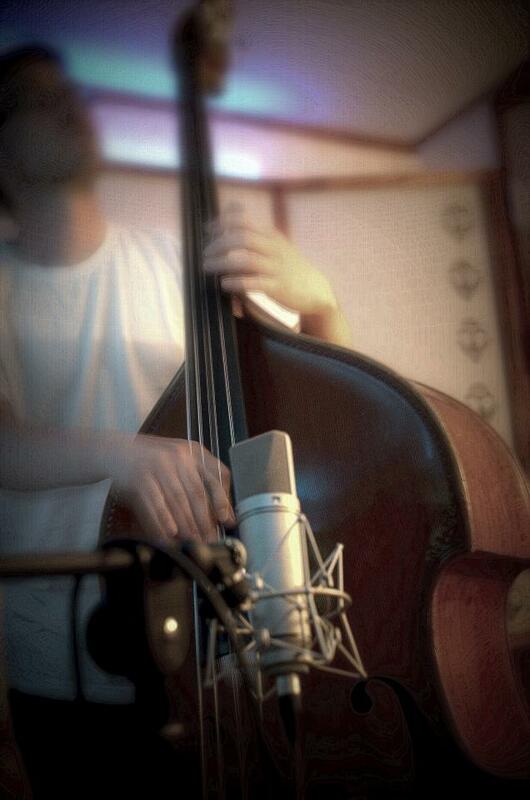 Several minutes of a bowed classical upright bass soloing away.. with a little bit of distortion. Ole Marius Sandberg is the bass player. And when the solo is done, Bodil takes over the melody from the bass solo, and sings in such a mournful way, imitating the phrasing and the sound of the bass. It is so cool! Livets Dans/Dance of Life. Finally, I get to include the amazing Steve Sklar in a song. He is sometimes called the human didgeridoo, but here he is a human jaw-harp and a human seljefløyte (willow flute). I can’t hide my envy of the amazing sounds Steve is able to create. He must be one of the finest overtone singers living on this planet. Also on this song, geeky fun for me. The form is a Rondo (ABACADA), and the rythm and meter is also from old european classical music. So when you clap along, you clap on every 2 and 3: 1-2-3 1-2-3 1-2 1-2 1-2-3. And of course.. Bodil and her incredible versatile voice. And if you are impressed (you will be!) by Bodil after hearing RØD, just wait for the other two EPs. BLÅ is in a very different emotional landscape, more lyrical and Bodil’s voice is so light and pure on some of those songs. And of course. The man who was our absolute #1 wish for musician on this project, the amazing percussionist Terje Isungset. We were so thrilled when he said yes to join us on this project. His percussion-kit is mostly things he has made himself…. of things he has found in the woods. He is maybe most famous for his ice instruments (yes, made of real ice) but on this project he brought his jaw-harps, lots of wood percussion, and a huge box of various metal things; big rusty bolts, metal sheets and other clangy objects… and also a collection of stones that has the most amazing overtones when he plays on them, either by hitting them or scraping them. So, I hope you enjoy this music 🙂 It has been an adventure to create this, and the adventure continues later in 2013 when there will be a concert/modern dance hybrid concert of Munch Remastered produced here in Bergen. 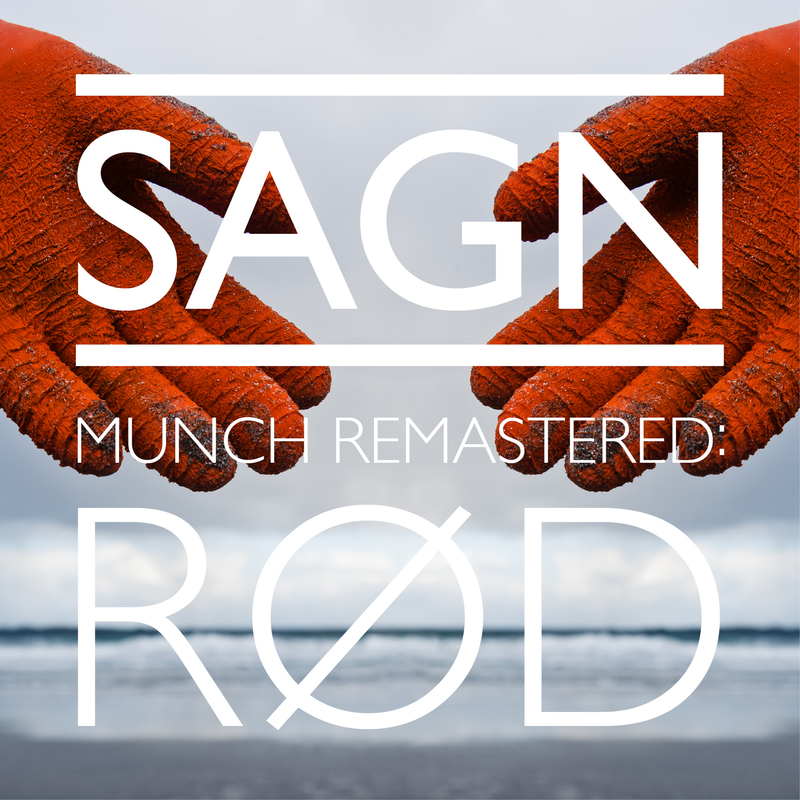 Munch Remastered is a project i started with Sagn (the incredible vocalist Bodil Rørtveit) early last year. The first in a series of three EPs will be out this thursday on iTunes. Munch Remastered RØD is new compositions based on the paintings “Jealousy”, “Dance of Life” and “Woman in Three Stages”. This project has been quite the journey, and all three EPs will be come together as a dance/concert hybrid performance that premiers here in Bergen in September. Two dancers who have danced for Cirque de Soleil and Celine Dion will join Sagn on stage.